Every device has it's problems, and BlackBerry is no different. At some point in the life of your BlackBerry, you'll get an error message of some sort which can usually be diagnosed quickly thanks to BlackBerry error codes. Luckily most BlackBerry errors are specific to what you are doing at that moment, making it easier to find out what you need to do (if anything) to fix it. BlackBerry error codes range from a simple memory issue to busy servers to the dreaded 552 error. If you experience an error of any sort, you can refer to the chart below based on the BlackBerry error message and see what needs to be done to resolve the issue. Keep reading for a full list of common BlackBerry error codes, messages and resolutions. This is a java file error and means a .COD file on the device is corrupted. You will need to reload the software on the device. These errors are associated with third party applications. Some data or the application itself is corrupt and needs to be removed. This can be achieved by using Desktop Manager to remove the installed applications, or a complete wipe and reload the BlackBerry OS. These errors are associated with software or data corruption issues. While the 552 is the most common, they arise from applications or bad data within the BlackBerry OS itself. Unfortunately the only solution in most cases is a complete wipe and reload of the device software. This error means the device was reset after it had reached the maximum password attempts (10 in most cases). After password limit is reached, the device data is deleted - the BlackBerry software will need to be reloaded. This is an error with an IT Policy on your device - you will need to conact your network administrator to resolve. These errors are associated with an application on your device. Some data or the application itself is corrupt and needs to be removed. This can be achieved by using Desktop Manager to remove the installed applications, or a complete wipe and reload the BlackBerry OS. The BlackBerry smartphone is still associated with a previous BlackBerry Internet Service account. You will need to contact your carrier to remove the device from the old account. The user name and password are incorrect or the BlackBerry Internet Service account is locked. Try entering your credentials again or contact your carrier for more information. The BlackBerry smartphone is not registered on the wireless network or the BlackBerry smartphone is still associated with a previous BlackBerry Internet Service account. Contact your carrier for assitance. The POP account is locked by the Gmail Captcha program (added secutiry from Google). You must unlock the Gmail account using a CAPTCHA to proceed and will then be able to access you email. The BlackBerry App World service is temporarily unavailable due to server or other issues. Try again at a later time. Your connection to the wireless network is turned off. Wireless data on your BlackBerry must be turned on and the device must be connected to the wireless network. You require a data plan to download BlackBerry App World. Contact your service provider to upgrade your service plan. You do not have a required data plan on your BlackBerry account and cannot access BlackBerry App World. The selected application is already installed. Do you want to overwrite the existing application? An instance of the application already exists on your device. The device must restart to complete the installation. 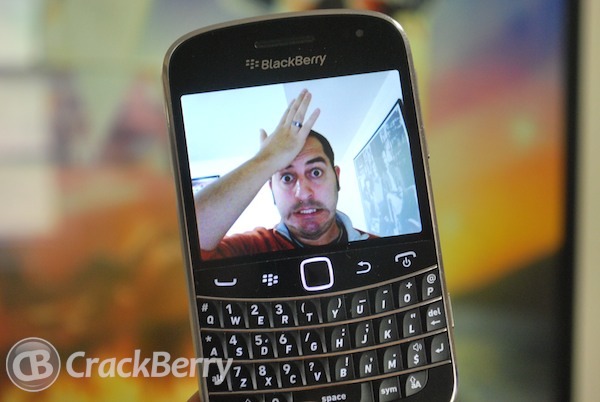 Some applications require a restart of the BlackBerry smartphone after successful installation. PayPal authentication failed. Please try again. The BlackBerry smartphone user has typed incorrect PayPal login credentials. BlackBerry App World has detected a new device PIN. Would you like to transfer your purchased applications to your new device? Appears when logging in to the My World folder on a new BlackBerry smartphone. Choose yes to update your applications to the new device. While these are the most frequently encountered errors codes/messages, you may come across some others that you're not sure about. You can always leave a comment here or head into our CrackBerry forums for more help. Our members will most definitely be able to help you on your way to diagnosing and fixing your issue no matter what the cause.